Cyclonus has been found in New Quintessa, and both Starscream and Ultra Magnus are fighting to keep him from returning to his master, Galvatron! Despite their efforts, Galvatron is reunited with his servant. 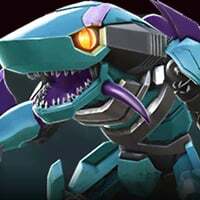 Meanwhile, the rumors surrounding the return of Megatronus have become reality! 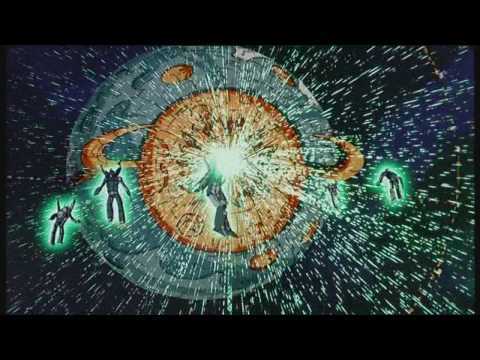 Will the reunion of Cyclonus and Galvatron create even more chaos? Can the Autobots prevail over the return of Megatronus? The mission commences at 10am Pacific Time on September 6th! Staring with this Spotlight Mission, we will be switching the Medium Difficulty to only use 1 Energy Per Step, and the Hard Difficulty to using 2 Energy per step! The other Difficulty Levels remain unchanged. We're introducing 2 old sets of Relics, one brand new one, and keeping Star Saber available! Did you mean to say that they will change? Can we improve the special mission rewards just a bit? The T2A essence is a little weak for the current state. I know its to late this month but next the current rewards will be old. Im getting more T2A in AM every week. Also if the chip count can be increased for completing each level. To reach a 5 star bot each month with the current payout of chips to reach a million is difficult. Also thanks for trying to improve 7.0, it at least shows you are listening to your player base. I forgot to call out one small reward increase (also forgot to put it in the first time around, and have adjusted to fix). 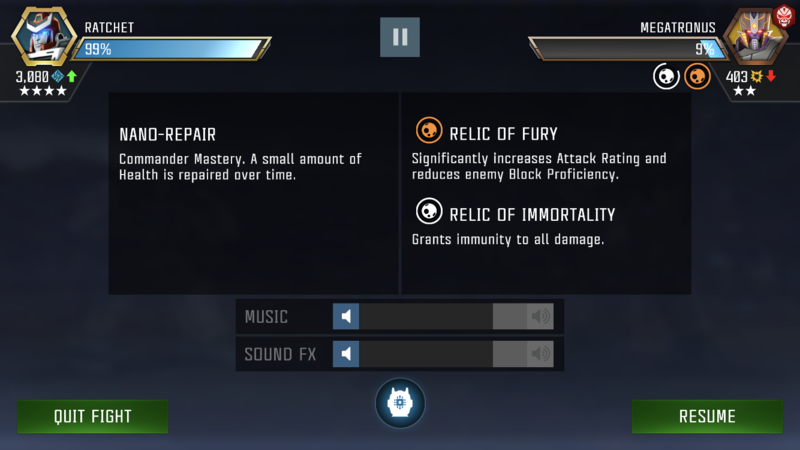 We've doubled the Tier 4 Basic Spark Essence from Mastering all of the Master Difficulty from 1000, to 2000! Sorry for leaving that out earlier! 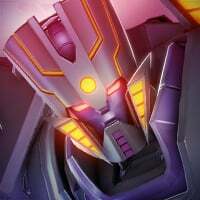 Does this mean Megatronus will be a part of the Special Mission? Maybe a special Ambush or even a Mission boss? The storyline should be intriguing to say the least this month. Looking forward to it. No, Skywarp is! At least for TFTF game because then they can say the 'Skywarp-y' guy in the early wallpaper is Cyclonus. Looks a bit like Thundercracker to me. If doubled, wouldn’t it be 4000 t4 basic essence? 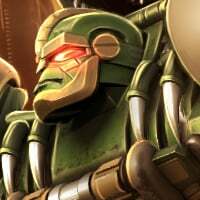 Currently, you get 2000 essence for fully exploring master in the Wheeljack spotlight (500 for completion). I actually agree, from a personality and intelligence perspective Cyclonus is much closer to Bombshell. Also given Bombshell is in the foreground of that sequence is pretty telling. Also, if the Cloacking Field will stick around more than 1 month, any chance you might clue us in as to exactly how long it will carry over? Would really help with strategizing what to use tickets on and when, as with the recent relics I passed on the much desired Gold Galvatron relic because we didn't know the Star Saber would be sticking around. In the actuall Wheeljack Spotlight you get 2'500 (2'000 + 500) T4B Essence. Same as @Darm0k said. Or are you talking about to double it as per last Spotlight --> From 2'000 to 4'000? Please clarify that little confusion. 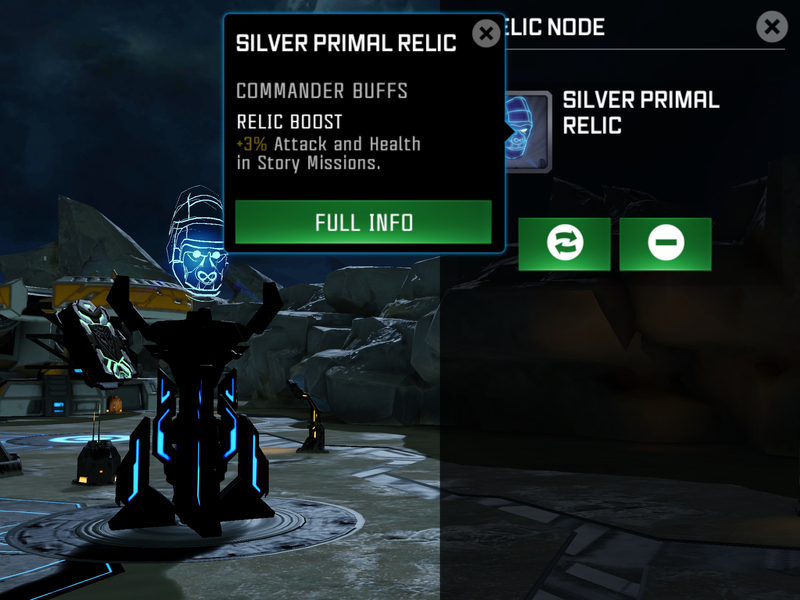 Is it going to be something other than the Primal relic? That statement is on point. His pesonality seems a bit more like Bombshells''s intelligent personality, than Skywarp's not-so-bright personality. The way that Cyclonus tells Galvatron that they need strategy for something to work, kinda sounds like something Bombshell would say. Well, I am not doing well in this thread. Sorry folks, there was a miscommunication between the team and I on this one. There was no increase here. Aaaaand I am 0 for 3 in this thread today. You're correct. @Kabam Miike ,, since how long Kabam hasn't given you a holiday? Don't sweat it. Lots of info to relate, thanks for clearing things up. After you take a break and grab a cup of joe, can you let us know how long the Cloaking Field will stick around? ... can you let us know how long the Cloaking Field will stick around? Nevermind. Just saw the in game mail letting us know the 20-ticket relics will be permanent in the store. Thanks for making that happen @Kabam Miike !